Imagine living a better life – whether it’s finding relief from chronic or acute pain or holding off on surgery for a bum knee, or feeling more energetic and alive. Pulsed Electro Magnetic Field therapy (PEMF) can help. Pulsed Electro Magnetic Field (PEMF ) Therapy is a physical, mental and emotional therapy. PEMF therapy uses bursts of low-level electromagnetic waves to heal damaged tissues and bone, to relieve injury-related pain, and even to stimulate organs. HRV is your body’s heart rate variability (HRV) that naturally chooses the right pulses for you. The idea is that HRV-established pulses at low frequencies will pass through the skin and penetrate deep into muscle, bones, tendons, and even organs to activate the cell’s energy and encourage its natural repair mechanisms. PEMF has been proven to enhance circulation, oxygenation, nutrient absorption, ATP production, and detoxification all the way to the cellular level. 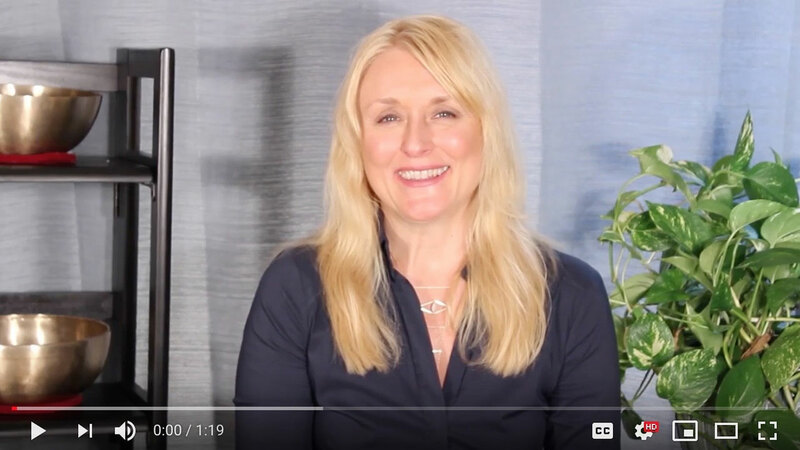 Simply put, PEMF helps to get the “good stuff” into your cells so that energy can be created, then PEMF helps to remove toxins and waste products from the cells. Magnetic field therapy is one of the world’s oldest forms of healing. It was at the center of the medical philosophy and practice of the Ancient Greeks, Romans, Egyptians and South American Indians. The medieval Swiss alchemist, physician and astronomer, Paracelsus, documented the efficacy of magnetic fields in the 1500’s. He is still regarded as the first pioneer of modern magnetic field therapy. In the 20th Century, the first clinical studies were conducted in Russia and Japan. Then followed by groundbreaking studies in Germany by Professors Lechner and Ascherl. Today, like other age-old therapies such as acupuncture and homeopathy, magnetic field therapy is enjoying a true renaissance in the world of complementary and alternative medicine. The latest insights gathered through scientific and medical research show that not every type of magnetic field is effective in promoting optimal health in living organisms. It is now known that pulsating oscillations that mimic the vibrations of the Earth’s own magnetic field can benefit every cell of our body, as long as they have the correct intensity, information content and resonance characteristics. How? By recharging our current conducting cell membranes through precisely regulated electro-magnetic fields. When all the body’s cells are simultaneously stimulated with natural, resonant electro-magnetic vibrations, cell vitality increases, metabolism is enhanced and total body energy is improved. This is the power of pulsed electromagnetic field stimulation (PEMF). 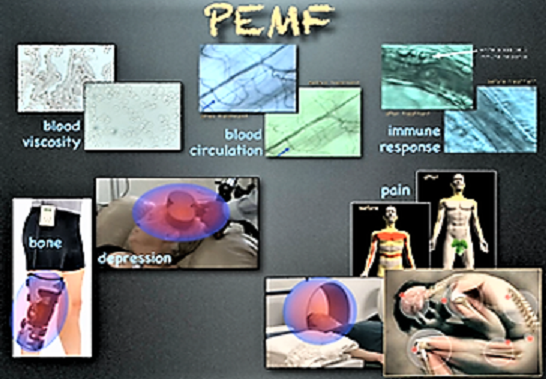 The natural earth based pulsed magnetic fields (PEMFs) help to recharge, heal and regenerate the body in many ways. PEMF has been proven to enhance circulation, oxygenation, nutrient absorption, ATP production and detoxification all the way to the cellular level. Simply, PEMF helps to get the “good stuff” into your cells so that energy can be created, then PEMF helps to remove toxins and waste products from the cells. By delivering all the essential nutrients to the cells and recharging the cellular battery, PEMF assists the body in healing itself of almost any condition. But to be clear, it is the body that heals itself, the PEMF just gives the body the energy needed to energize, heal and recharge your 100 trillion cells and in the process helps to alleviate pain, heal the body, help with better sleep and much more. SINCE THE EARTH HAS NATURAL PEMFs AND A MAGNETIC FIELD, WHY DO WE NEED PEMF TREATMENT? While we can always go outside and lay on the earth to get these energies from the earth, over the past 500 years the earth’s magnetic field has declined by over 50%. Many theorize that we are in the process of a pole reversal over the next couple thousand years. On top of that people spend too much time indoors and insulated from the earth’s Natural fields. Perhaps even a bigger problem is that we also get too much of the unhealthy PEMFs or what is called electro-smog or dirty electricity. We get this from power lines, computers, cell phones, digital clocks, microwaves, T.V.’s, WiFi, blue-tooth, hair dryers, etc. These unhealthy energies block the natural frequencies from the earth that are vital for life along with disrupting cellular metabolism. In every area of life, benefit from the power of Magnetic-Resonance-Stimulation Our PEMF system can be tailored to your individual health and wellness needs, providing a wide variety of applications for the maintenance of your personal wellbeing and health. If you have been experiencing various symptoms and want to explore the benefits of PEMF, schedule an appointment with Thermography for Health NY today!